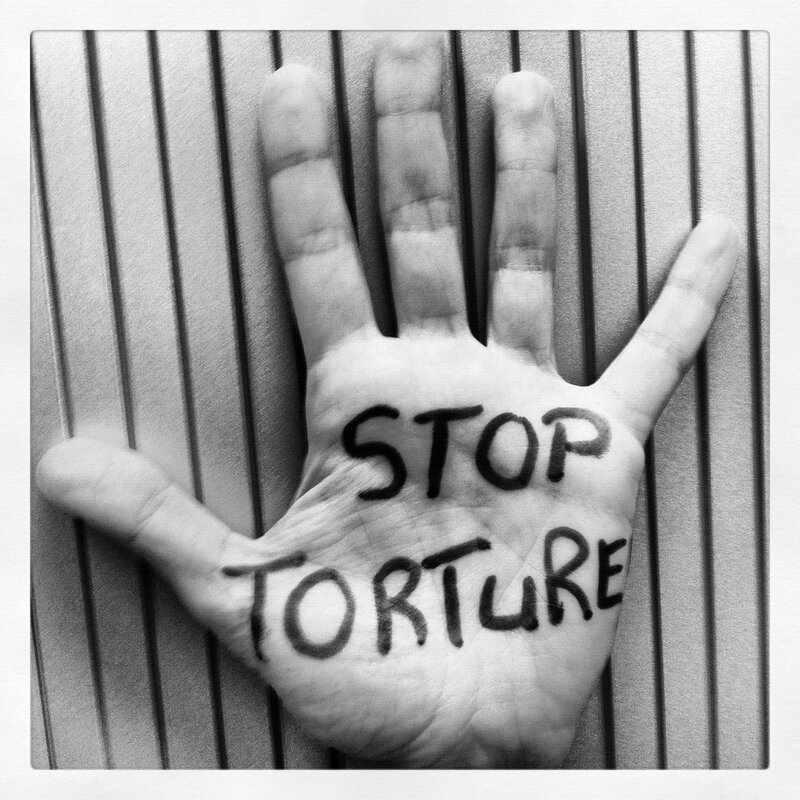 In Hjørring (Denmark) a child is the victim of torture. The boy is the victim of torture in the most horrendous way in the form of psychological force and manipulation. A boy whose freedom has been taken from him and all his rights. You would not believe it when you take a stroll down the pedestrian street in Hjørring, Denmark. A pedestrian street, when the sun shines, looks idyllic sitting and eating a frozen yoghurt on the bench in front of the Metropol Shopping Centre. But behind the wonderfully idyllic scenery is a cruel truth when it comes to the power and torture that the mayor and other council members is STILL exposing the 10-year-old boy to. Is Denmark as corrupt as Mexico? If you read the documents in the case and look at the ruling of the appeal court and the actions of the local authorities, you would think it´s a lie. It sounds like a sick joke and not like something that is - or should - happen in a country like Denmark with civil rights and human rights. This case - if any - shows that not ALL people have those rights in this country. No, those essential rights are being taken away when authorities in power make a mistake they won´t correct. The 10-year-old boy lived for 9½ years with his mother Chanette. Before the parents, Chanette and Anton, divorced the mother solely took care of the boy since the father had over 320 travel days abroad a year with his work. This has been confirmed by an extensive examination (§ 50 examination). After the divorce there was conflict between the parents. The boy lived with his mother and the father had visitation when possible with his work schedule and many travels. The mother never practiced visitation harassment. On the contrary. The mother drove the boy to and from visitation with the father. 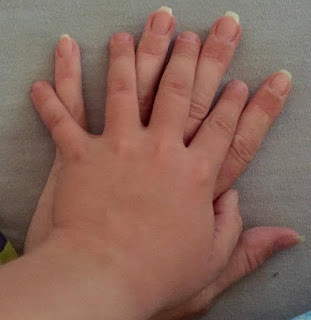 It got increasingly harder to get the boy to go on visitation with his father and suddenly he refuses to go at all and it was not possible for the mother to make him go. The mother contacted local authorities to get help to make the boy go on visitation. The authorities in Hjørring put a case worker on the case for 4 months. The case worker concluded that both mother and father made efforts to make visitation possible but the case worker gave up forcing the child on visitation with his father after the 4 months. Visitation ended in 2013! The authorities even wrote to the court that they recommended that visitation stop completely since the boy showed well-being after visitation had stopped. The father´s words about the mother at the time were: "She is in many ways a good and loving mother who takes well care of the boy". The reason the boy didn´t see his father was NOT because the mother harassed the father. It was NOT because the mother refused or didn´t try to let the boy go on visitation. On the contrary she tried and asked authorities to help her with it. Even the case worker gave up trying to make the boy go and concluded that visitation with the father could not be forced. After the authorities gave up visitation the father did nothing to bring up a renewal of visitation with the court or other authorities. Instead he showed up various places where the mother, Chanette, and the boy were. Even at school arrangements and leisure activities which made the boy scared and want to go home thereby making him miss leisure and social activities because of the father. The father’s behavior has been notified to the authorities several times. From the school that shows the boy telling about violence from his father and from others who have witnessed frightening and worrying behavior towards the boy from the father - even in school! 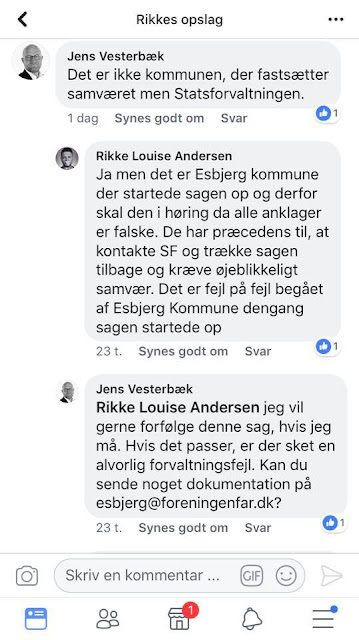 The local authorities in Hjørring have ignored these reports. In 2015 a parental ability assessment evaluation was made. It showed that the mother has a high parental ability and that the boy is best cared for with her! In 2015/2016 a so called §50 assessment was made to find out which situation would best secure the boy´s future and to assess the boy´s relation to his father. The assessment lasted for 14 months and the result showed that the boy would benefit from staying with his mother and that the boy benefited from the stop of visitation with his father. The long assessment even concluded that the boy would not benefit from shared custody. Assessment by psychologists: Assessment by psychologists were made in the § 50 assessment and they concluded that parental alienation was NOT an issue in the case. The psychologist assessment showed that the boy feels safe with his mother and that they have a good relation. The mother, Chanette, has been in contact with the police several times because of the stalking and harassment from the father. The police issued a restraining order on the father and a member of his family in November 2016 due to the stalking and harassment. In February 2017 the police stated that they would NOT investigate the boy´s case of violence against him from the father. This was disputed to the state attorney, who has ordered the police investigate the case! The City Court ruling: Sole custody to the mother. In order to give the boy calm in the situation and given that there had been no visitation for 2 years and after advice from local authorities in Hjørring, the mother chose to seek sole custody over her son in court. She "won" sole custody on April 28th, 2016 in City Court. The City Court emphasized that it had always been the mother who cared for the boy and that she was the one with the closest bond with him. They also listened to the boy´s own statements and wish to live with his mother. "He seems happy and safe with his mother and she is able to make for a stable and predictable home for him". After the mother won in City Court the father started making numerous accusations. Suddenly she wasn´t the good mother he had stated earlier. He was suddenly of the opinion that she manipulates the boy and is suddenly worried that she can´t care for the boy properly. This in spite of him saying the exact opposite in 2013 - and in spite of ALL assessments showing that she has great parental ability and is able to care for the boy with no problems. But okay, some ammunition is needed when a sudden urge arises to play father of the year and win a custody battle. You better make up things and show worry exactly like a spoken of manual of harassment says. The boy´s father, Anton, now thinks the boy is better off living with him or in an institution rather than being with the mother he has lived with for 9½ years with no problems! The father wasn´t satisfied with the City Court ruling so he appealed. August 16th, 2016 the Appeal Court went against the City Court - and any logic or concern for the boy´s well-being. The father won sole custody of the boy. The Appeal Court emphasized that the father would be best at making sure the boy had a healthy relation to both parents in the future. They ignored ALL reports and assessments. This in spite of the fact that they refer to the parent assessment report that shows that the boy is best cared for by HIS MOTHER. Exactly like all other assessments have showed in the case! 4 + reports of the father´s worrying behavior including a report from the school about violence from the father. Reports to the police about violence and stalking. That the mother had cooperated to make visitation possible and therefore not a case of visitation harassment. On the contrary. They ignored the case worker´s recommendation to the Court in 2013 after having given up making visitation work. They ignored the parental ability assessment that concluded that the mother has a high ability and that the boy is best cared for by her. They ignored the 14 months long § 50 assessment from 2015/16 that the boy is best cared for by his mother and that the boy had a better well-being and his allergies had improved after visitation with the father had stopped. The conclusion was that the boy would not benefit with visitation with his father at all. The psychologist concluded that the mother did not use parental alienation. They ignored the ruling of the City Court that emphasized the relation between the boy and the mother and his safety. They ignored the boy´s statement to the judge and psychologist in the City Court. It was not possible to carry out the ruling of the Appeal Court and make the boy want to live with his father. The boy refused and was terrified even when it was just mentioned. Therefore, the father made a voluntary agreement with the local authorities to put the boy in an institution. The boy was taken from his mother by Court and police. it took 2 policemen to drag the kicking, screaming and panicked boy to the police car. He was then driven to the institution Vesterlund in Aalborg where he has been since October 4th, 2016. He has been there for over 10 months now. he was originally supposed to stay in the institution for 2-3 months until he had accepted and gotten used to the idea of living with his father. I will consider this psychological torture. Exposing the boy to so much pressure and loss that he breaks and caves in to accepting to live with the father, he himself says is violent. The father visited the institution once in November of 2016. The boy lay terrified and shaking under the covers in his bed until the father left. The staff of the institution recommended that the father not visit again. The boy only sees his mother once a month for one hour. Besides that, he is allowed to talk to his mother 2 x 10 minutes a week. The boy was not allowed to come home with his mother for Christmas, for his birthday in January, for his cousin´s confirmation in April or summer vacation with his mother. The local authorities arrange his visitation according to the father with sole custody. Since the father does not want the boy to see his mother or the rest of the maternal family, one hour a month is the least the local authorities can give the boy without having to put the matter to the local political Children’s´ and Youth Committee. This because the boy has to learn NOT to miss his mother and to accept having to live with the father he is afraid of. This is psychological force and torture. And more than that it is child abuse and public neglect of a child! According to the Administration the boy and his mother are too close. But it doesn´t take a lot of psychological knowledge about child psychology and violence against children to know that children will develop an especially tight bond with the protective parent who isn´t violent. There is nothing odd about a boy who is tightly bonded with his mother. She is the one who has been the sole caretaker for the boy and has been the one he always had his life with. The wellbeing and current status of the boy. The boy is in no way even close to accepting having to live with his father and all status follow ups show that the boy´s wellbeing is getting worse. In March of 2017 a status report showed that the boy is still afraid of his father and doesn´t want to live with him. His allergies and asthma have worsened, he has lost weight, he misses his mother, maternal grandparents and his rabbit. He is depressive and has thoughts of suicide - he does no longer think life is worth living and has given up. The boy´s doctor has raised the alarm twice because of the boy´s condition in the institution! The doctor is massively worried. Since then the´boy´s father chose another doctor but the boy hasn´t been to see the new doctor! A boy who went from living a reasonably normal life with friends, family, his own room, his rabbit and social activities. A boy who was used to fun summer vacations abroad with his mother and is now a boy in isolation in an institution with barely no contact with his mother and even no vacation with her. This in spite of all reports showing that he is best cared for by her! Criminals in Danish prisons have better conditions than this boy! Senior Consultant from the Organization Børns Vilkår (Children´s Conditions) Bente Boserup says this is a classic case of Custody that weighs the child´s right to two parents higher than the child´s right to wellbeing. "In this concrete case we see a boy - who has been in an institution for more than seven months - who is getting worse. It is public neglect. At the same time, he has a parent who he misses and who is able to give him the care he needs." The Senior Consultant from Børns Vilkår says. The latest Proposal from the local administration. The latest proposal from the local administration is to move the boy to a foster family or a new institution until the boy accepts moving in with his father. Are you kidding me???! Why is it that he is not returned to the mother who is - by all examinations - the best to guarantee his wellbeing? The mother who cared for him for the previous 9½ years????? It sounds a lot like deals under the table. Because we surely can´t have the boy living with his mother. That would not benefit the father in an eventual upcoming court case. But who´s needs and wellbeing is really in question here? The father´s role in the case. As written earlier the father went from praising the mother to suddenly being soooo worried about her abilities as a mother, in spite of all examinations showing nothing to worry about. But where is he now in the case that his son is showing signs of serious neglect? Well, the father "won" the Custody case and has been to visit the boy in the institution once. A visit where - as mentioned - the boy lay under his covers and was terrified. 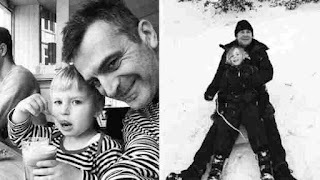 Since then the father has not seen his son but he has refused his son´s wish to spend Christmas with his mother, his wish to attend his cousin´s confirmation and even his wish to spend the summer holidays with his mother as he is accustomed to. Yes, what a great father in this case! Here we have a father who holds on to his "rights" with sole custody and abuses the power. He also demonstrates that he is NOT living up to the ruling of the Appeal Court of being the best at making sure the boy is connected to both parents. We have a father who is more committed to keeping his right and enforcing his power (By punishing the mother and son) than he is committed to letting the boy come back home with his mother who he misses. Which father would rather have his son in an institution than with his well-functioning and loving mother, who by all standards and examinations show is best at caring for him??? It is not a matter of the boy´s wellbeing but a matter of the father´s power trip and selfishness. He doesn´t think about the 10-year-old boy who is being punished in an institution far away from his family and mother who he loves and misses. It makes one think of King Solomon and the Judgment of Solomon. "Two women both gave birth to a child but one lost hers and stole the other´s. Now they are fighting over who´s child it is and have come to the King to make him judge who is the mother of the living child. King Solomon commands that the child is cut in two and one half given to each mother. But the real mother can´t do that to the child and decides it´s better letting the other mother have the child. The other mother is willing to let the child be cut in two. Then the King knows who is the real mother of the child." The "real" parent in this case - the one who thinks of the boy´s wellbeing - certainly isn´t the father who has chosen to put his son in an institution even though all examinations show there is NO reason for it. The father has stated that he hopes his son will be ready to live with him one day and that he has no limit to when enough is enough. From a logical and psychological point of view ... if the boy´s fear of his father was only something imposed on him by his mother the boy would probably have opened up to the thought of living with his father after 10 months in an institution. Surely there must be a substantial reason for the boy´s fear of his father. No matter what this is abuse, neglect and torture of a child. From Wikipedia: Torture is inflicting physical or psychological pain in form of a threat, a deterrence or punishment in order to fulfill some desire of the torturer or compel some action from the victim. At times torture only has little or no functional reason. "1. For the purposes of this Convention, the term "torture" means any act by which severe pain or suffering, whether physical or mental, is intentionally inflicted on a person for such purposes as obtaining from him or a third person information or a confession, punishing him for an act he or a third person has committed or is suspected of having committed, or intimidating or coercing him or a third person, or for any reason based on discrimination of any kind, when such pain or suffering is inflicted by or at the instigation of or with the consent or acquiescence of a public official or other person acting in an official capacity. It does not include pain or suffering arising only from, inherent in or incidental to lawful sanctions." 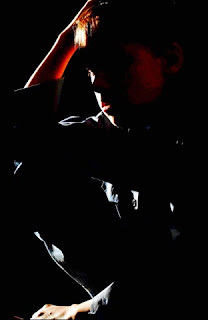 In this case mental and emotional pain and suffering is inflicted on the boy in order to punish him for an act (That he is afraid of his father and doesn´t want to live with him). He is being intimidated and coerced. NO circumstance of any kind can be said to justify torture! And torture is what this 10-year-old boy is exposed to! I will recommend that the local Administration in Hjørring and all politicians who approved this be reported to the UN Committee Against Torture (CAT). Furthermore as closer look at the Judges in the Appeal Court is needed, since a ruling like this suggests something is wrong with the system of justice. "THERE ARE TWO KINDS OF POLITICS. The one that divides. People stand in each camp yelling at each other. This ruins community and creates insecurity. The other kind of politics is the gathering. Here compromise and solutions that many can live with is sought. This creates security and stability. I always worked for the latter." I wonder why, if he works for the latter kind of politics, he never did anything to work for a compromise in this case? Why hasn´t he worked for a solution, that the boy can live with? Because what the local authorities in Hjørring in collaboration with the father have done is not to create security and stability for the unhappy 10-year-old boy. It is by contrary to expose the boy to inhumane psychological torture, neglect and abuse. But then again, the City Council member, Peter Duetoft, is also a Freemason and they are known to help each other - especially men and fathers. Therefore, my suggestion is that the Freemasons start worrying about little 10-year-old boys so that they in the future will have the new members they have been seeking in the newspapers. Please share this story to all you know!